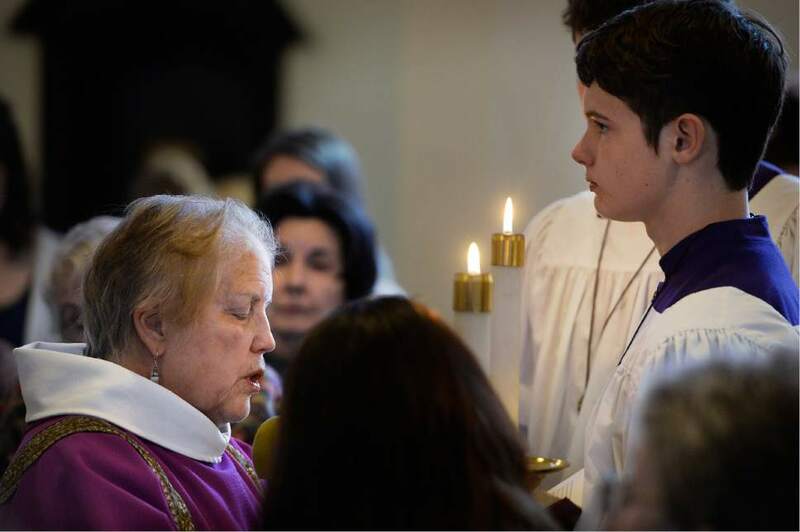 Scott Sommerdorf | The Salt Lake Tribune Deacon Elizabeth Hunter during Sunday service at St. Mark's Episcopal Cathedral, Sunday | Courtesy St. Mark Episcopal Cathedral. 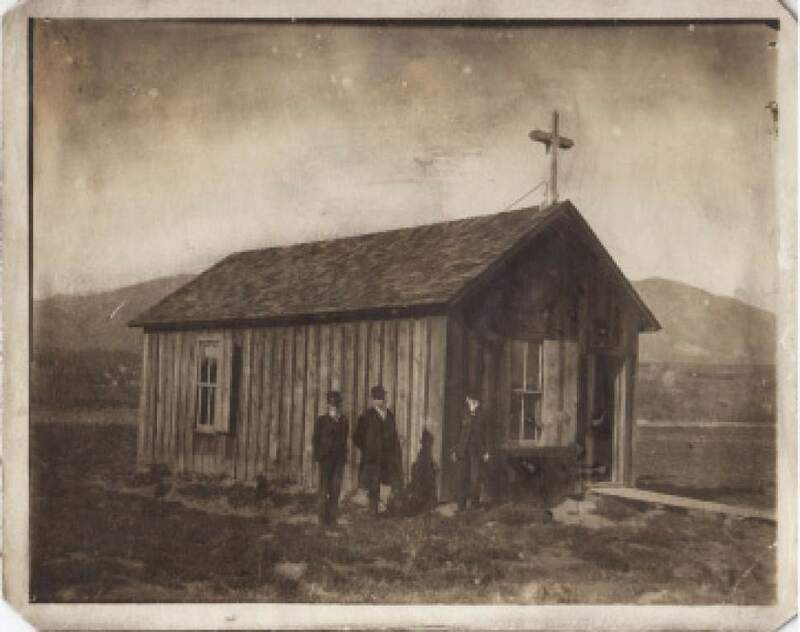 | Courtesy The original St. John's in Salt Lake City on 900 East and 1700 South 1890. | Courtesy St. John's Episcopal Church in Logan 1885. | Courtesy St. Mark's school. | Courtesy Episcopal Church members in 1917. | Courtesy The Episcopal Cathedral under construction in Salt Lake City. | Courtesy The Episcopal Church worked on marketing concepts in the late 1950s under Bishop Richard Watson. | Courtesy The Episcopal Cathedral in Salt Lake City. Courtesy photo The Rev. 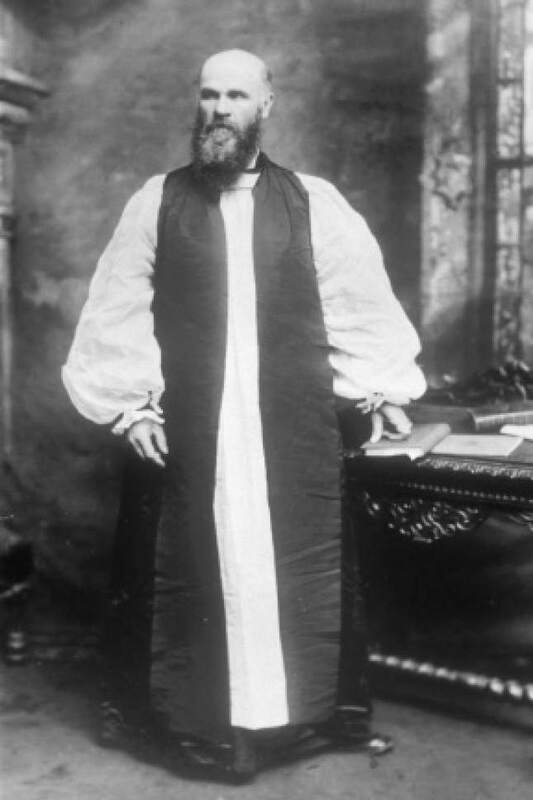 Daniel S. Tuttle, Utah's first Episcopalian bishop. Scott Sommerdorf | The Salt Lake Tribune Deacon Elizabeth Hunter during Sunday service at St. Mark's Episcopal Cathedral, Sunday, March 19, 2017. | Courtesy St. Mark Episcopal Cathedral. 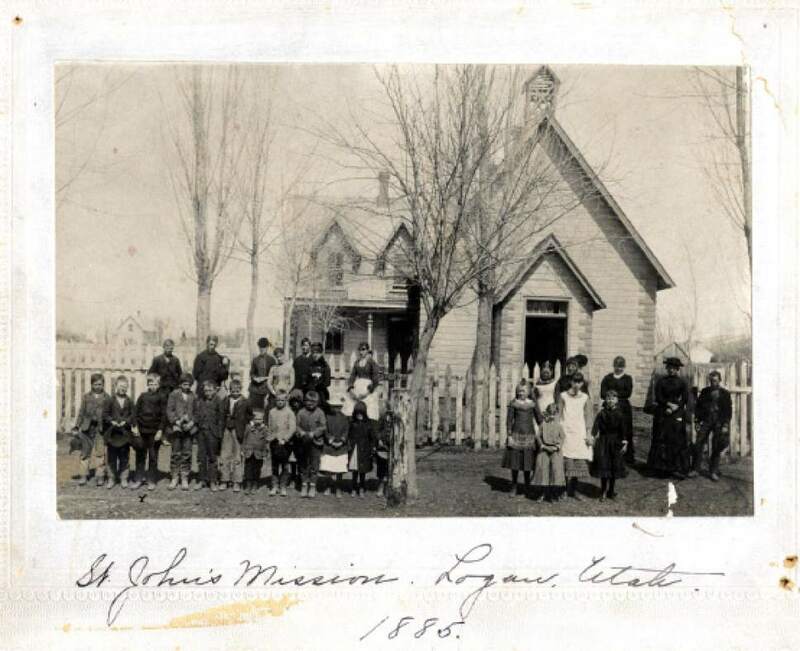 | Courtesy The original St. John's in Salt Lake City on 900 East and 1700 South 1890. 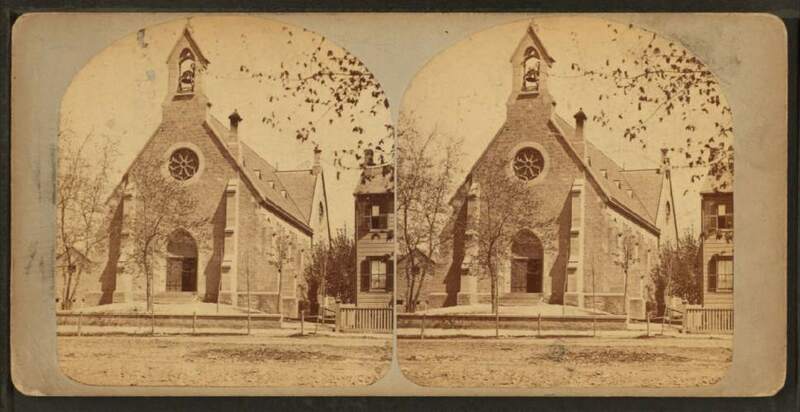 | Courtesy St. John's Episcopal Church in Logan 1885. | Courtesy St. Mark's school. | Courtesy Episcopal Church members in 1917. 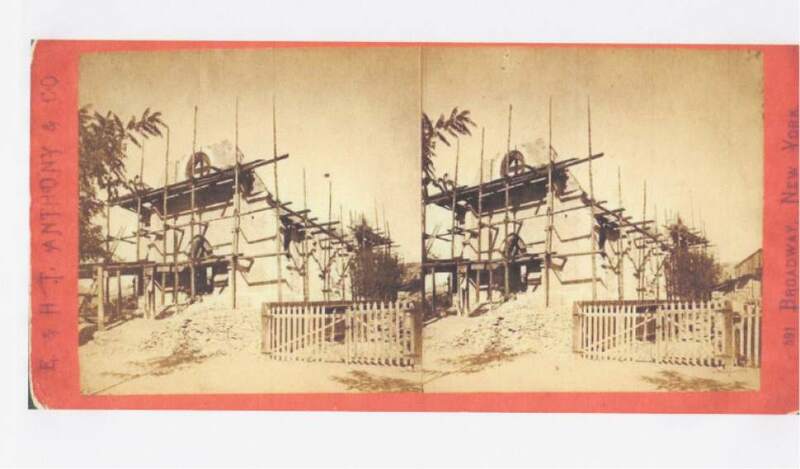 | Courtesy The Episcopal Cathedral under construction in Salt Lake City. 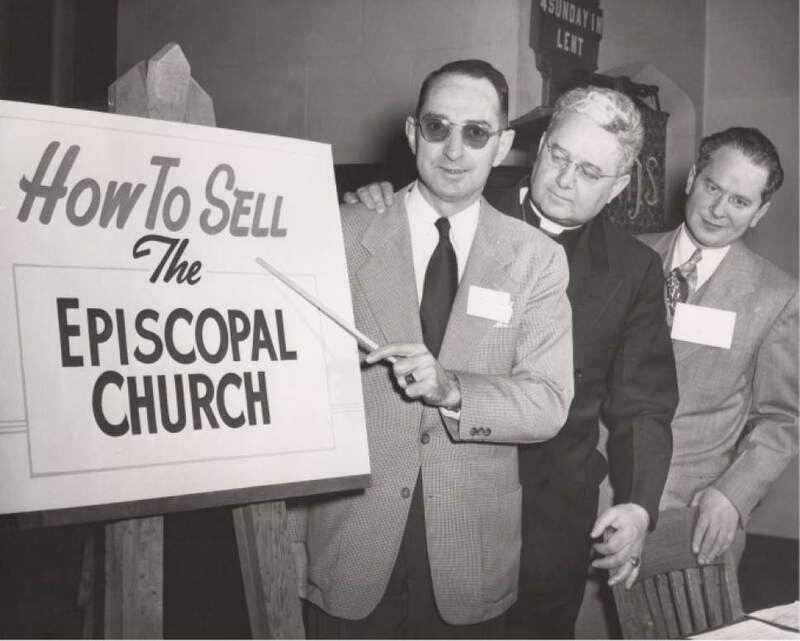 | Courtesy The Episcopal Church worked on marketing concepts in the late 1950s under Bishop Richard Watson. | Courtesy The Episcopal Cathedral in Salt Lake City. Courtesy photo The Rev. Daniel S. Tuttle, Utah's first Episcopalian bishop. Oct. 5, 1866 • In what is believed to be the first organized and concerted effort to establish a Protestant presence in Mormon Utah, the Episcopal Church&apos;s House of Bishops, meeting in New York City, elects the Rev. Daniel Tuttle as bishop. In addition to Utah, his responsibilities include Montana and Idaho. May 1867 • The same month Tuttle is formally consecrated as bishop, he recruits two clergy colleagues to establish the church in Utah. 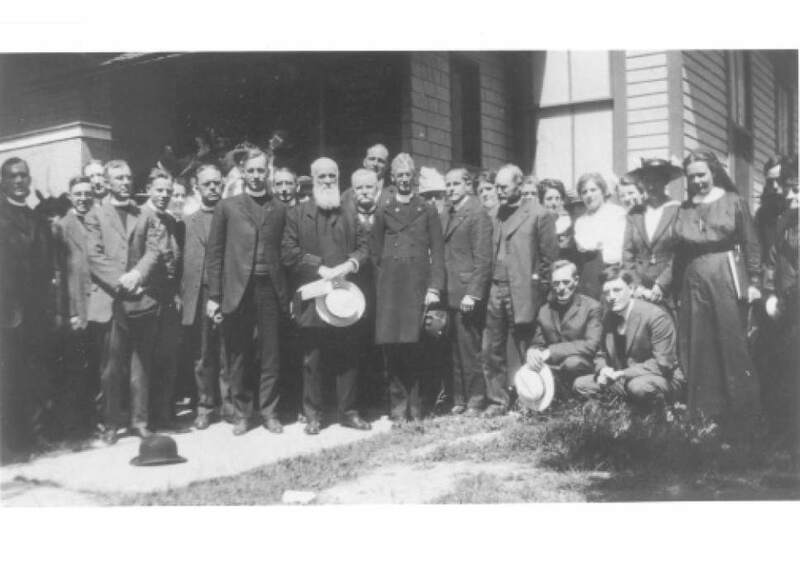 George Foote and T.W. 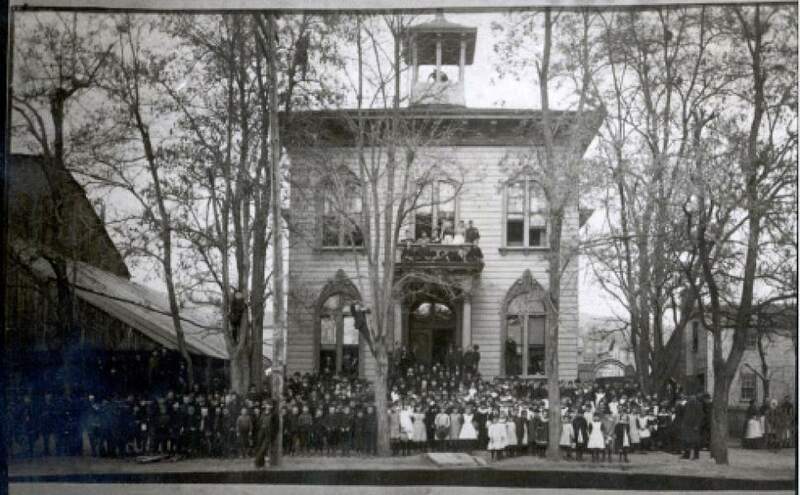 Haskins hold the first Episcopal services in Salt Lake City&apos;s Independence Hall and begin raising funds for what will be St. Mark&apos;s School, the first non-Mormon school in Utah. July 1867 • Tuttle arrives in Salt Lake City on July 4, accompanied by two Episcopal missionaries. He meets with Mormon prophet Brigham Young, a courtesy call that establishes what will be a low-key, nonconfrontational relationship between the faiths. July 30, 1870 • The cornerstone for the Cathedral Church of St. Mark is laid. Four months later, Utah&apos;s first Episcopal parish is formally organized. 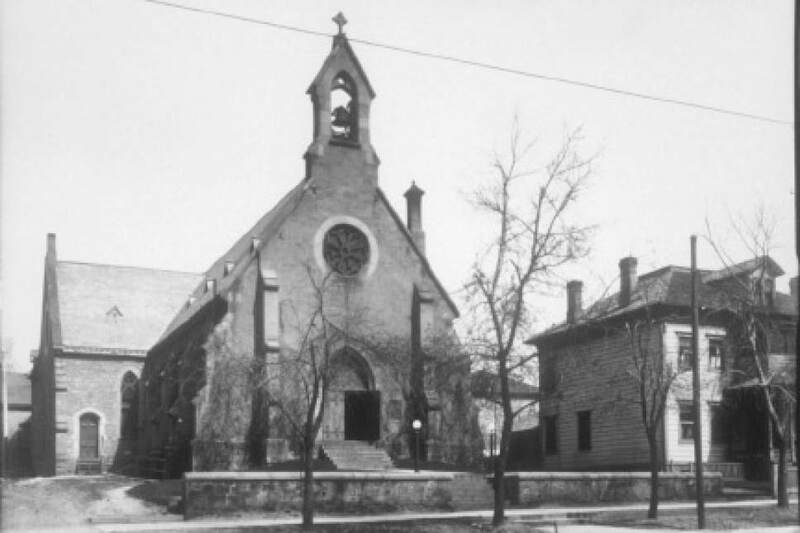 The year also sees the first Episcopal services held in Ogden&apos;s rail station, with the city laying the cornerstone of the Church of the Good Shepherd in April 1874 and consecrating the completed structure Feb. 6, 1875. St. Mark&apos;s Hospital is organized in 1872 as a joint Episcopal Church, mining industry and Army project. The hospital moves from one place to another through the years before settling on its current 1200 East and 3900 South site. 1888-1903 • The Rev. Abiel Leonard succeeds Tuttle as bishop. Leonard focuses on expanding the Episcopal presence throughout Utah, focusing on mountain mining communities, as well as Provo, Springville, Layton and Vernal. Leonard also launches a mission church to the Ute Tribe in the Uinta Basin. 1904-1914 • Self-described "Christian Socialist" Franklin Spalding serves as bishop in Utah, arguing that the Christian church&apos;s sole task was to save humanity. He wrote, "Although man cannot live by bread alone, he must have bread." While a critic of LDS scriptures who directly challenged Mormon founder Joseph Smith&apos;s abilities as a translator of purported ancient records, Spalding also praised Mormon community values and charity. 1914-1918 • Spalding&apos;s successor as bishop, Paul Jones, finds that his socialist and  with the nation&apos;s entry into World War I  pacifist views bring about his forced resignation in 1918 after just four years. He goes on to be a strong advocate for civil rights, social reform and economic justice, earning a commemoration (for Sept. 4) in the U.S. Episcopal Church&apos;s liturgical calendar. 1920-1996 • Four more bishops rise and serve during this period, including Arthur Moulton (1920-1946), Stephen Clark (1946-1950), Richard Watson (1951-1971) and Otis Charles 1971-1986). Charles lent his support to the successful opposition to locating launch sites in Utah for the MX nuclear-missile system. He was succeeded by George Bates (1986-1996). 1942 • The Rev. H. Baxter Liebler settles among southeastern Utah&apos;s Navajos, educates himself in their language and customs and builds St. Christopher&apos;s Mission. In addition to church services, the mission opens a school and eventually offers medical and dental services. 1988 • The diocese completes the sale of St. Mark&apos;s Hospital to the Hospital Corp. of America. The proceeds went undisclosed but reportedly helped fund numerous social, medical, charitable and other projects, including the remodeling of numerous church properties. 1996-2010 • Carolyn Tanner Irish, a convert to Episcopalianism from a prominent Utah Mormon family, becomes the first woman to serve as bishop for the diocese  and just the fourth female Episcopal bishop in the U.S. She is an outspoken advocate for immigrants, minorities, social services and the environment, and makes headlines for banning guns from the dicoese&apos;s churches. 2010-present • The Rev. Scott Hayashi becomes the 11th bishop of the Episcopal Diocese of Utah, having previously been rector of Ogden&apos;s Good Shepherd Church and canon of the ordinary in the Diocese of Chicago.